BBC Sherlock Fan Forum - Serving Sherlockians since February 2012 » Why do that to John? » Why do that to John? Up until watching The Empty Hearse I assumed there were very good reasons for Sherlock keeping John in the dark about his faked suicide. And then I watched The Empty Hearse... Twenty plus people knew about the plan, not just Sherlock's family, but also his homeless network. 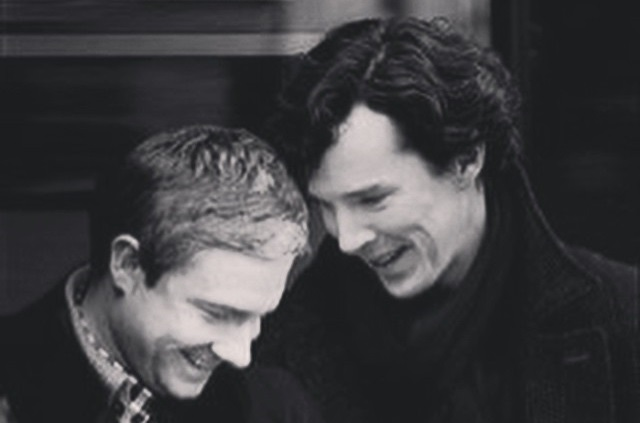 And the reason Sherlock gives John is a fear that he might be indiscreet. When was he ever indiscreet? !I understand that John's grief added to the drama (though if you ask me, he recovered from it so quickly I barely see the point) but couldn't the writers come up with something better than that? Couldn't they say that there were suspicions and John may have been in danger, anything that would warrant him suffering for two years! But 'I thought you might blab' (can't remember exact words, sorry) must have been like a huge slap in the face for John. I suppose at least it explains why he wanted to punch Sherlock multiple times! I just felt it could have been improved on. Am I missing something? Re: Why do that to John? My guess is that it was similar in canon. I did also feel it was hinted that John was in danger. The targets (John, Mrs Hudson, Lestrade) were all kept in the dark, presumably partly for their own safety. What we have been shown through earlier seasons is that John is a terrible liar. So I got the understanding that Sherlock (and perhaps also in agreement with Mycroft) didn't want to tell him because John wouldn't be able to convincingly fake grief. Which is kind of confirmed by him shouting about it in the takeaway!